Gay Ottawa Volleyball proudly supports A Taste For Life, an initiative in Ottawa that started in 1999, where dining at A Taste For Life restaurants means supporting Bruce House and the Snowy Owl AIDS Foundation! We schedule our Wednesday Night League to conclude the week before A Taste For Life, so that teams are available to participate. On May 1st, where will you have your end-of-season team dinner? 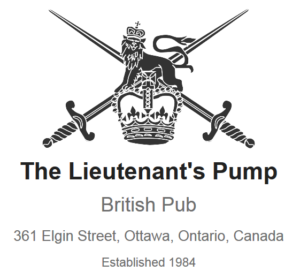 On May 1st, participating Taste restaurants in the Ottawa area will support Bruce House www.brucehouse.ca and the Snowy Owl AIDS foundation www.snowyowl.org by donating 25% of their sales that evening. All you have to do is go out to dinner. It’s that easy.